Each year, around the holidays, Customer Impact employees get to nominate a shopper that they feel has done an exceptional job throughout the year. Although we have thousands of shoppers in our database, we are only allowed to pick one each! After the nominations have been submitted, each department, editing and scheduling, gets to select one of those nominees to be their shopper of the year. 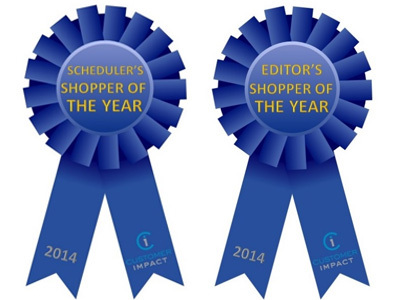 We would like to recognize the nominees and winners for the fantastic work they have done with us and thank all of our shoppers for helping us have a successful year at Customer Impact! The following shoppers are nominees and include personal comments from CI employees on why that particular shopper was nominated. Craig from Texas has helped us out with difficult locations numerous times. He usually lets us know when he’s travelling so that he can pick up shops along the way. Craig is always very fun to speak with over the phone, and he’s just generally been great to work with. The scheduler who nominated Craig also said, “I never have to reschedule him, and he’s never flaked on us.” Consistency and reliability are characteristics that are invaluable in a shopper! Kent from New York was nominated for his kind and cheerful personality, as well as the fact that he tries to pick up available shops whenever he can. He works with the scheduler and has referred others to shop in NY as well. We always appreciate when shoppers are fun to communicate with, as we try to also be kind and personable when given the chance. Also, when good shoppers bring in other good shoppers to the fold, we are very grateful. The more the merrier! Nicole in Texas is known to be consistent and very responsive. When we’re in a time crunch, it’s always nice to know that a shopper will get back to you with extra information or clarification quickly. She is always very nice and willing to lend a hand. This type of flexibility and kindness is very much appreciated! Mo, also from Texas, is a long time shopper with Customer Impact. The editor who nominated him says, “In all of that time, he has been reliable and trustworthy, not only with performing assignments as scheduled but also with providing accurate and complete reports.” As a shopper, it’s important to be well-rounded, as assignments require you to be observant, natural in the situation, detail-oriented, and responsive. The following shoppers are our Shoppers of the Year! Again, both departments were invited to select one shopper of all the nominees, and we would like to recognize them and thank them again for their hard work this year! Jean from California is the Schedulers’ Shopper of the Year! The schedulers commented that they selected Jean not only because she is a good shopper and does great reports, but because she is in an especially tough region. Also, she will go to tough locations for us in a pinch. Thank you for your flexibility, willingness, and for going above and beyond! Sona from New Jersey is the Editors’ Shopper of the Year! The editors always recognize her name on certain shops that can be tedious to edit. She always does an outstanding job on her reports and does not have to be contacted for more information, which is always appreciated. We appreciate that Sona is proactive, flexible, and consistent! 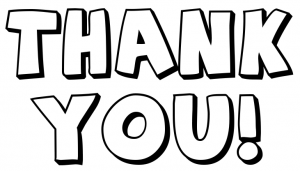 Thank you to all of our shoppers, nominees, and winners! If you are ever interested in learning about how you can improve your shopping, reports, or scores, we are always willing to lend a helping hand. 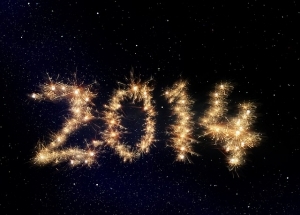 Thank you again for a great 2014, and we look forward to starting 2015 off strong!